Ferritic steels are high chromium, magnetic stainless steels that have a low carbon content. Known for their good ductility, resistance to corrosion and stress corrosion cracking, ferritic steels are commonly used in automotive applications, kitchenware, and industrial equipment. In comparison to austenitic steels, which have a face-centered cubic (FCC) grain structure, ferritic steels are defined by a body-centered cubic (BCC) grain structure. In other words, the crystal structure of such steels is comprised of a cubic atom cell with an atom in the center. While not as strong or corrosion resistant as austenitic grades, the ferritic grades generally have better engineering properties. Though generally very weldable, some ferritic steel grades can be prone to sensitization of the weld heat-affected zone and weld metal hot cracking. Weldability limitations, therefore, restrict the use of these steels to thinner gauges. Due to their lower chromium and nickel content, standard ferritic steel grades are usually less expensive than their austenitic counterparts. Chromium content can range from 10.5 to 27 percent and, like martensitic grades, there is generally little to no nickel content. Specialty grades often include molybdenum, and to a lesser degree make use of aluminum and titanium. Ferritic stainless steel alloys can generally be classified into five groups, three families of standard grades (Groups 1 to 3 below) and two families of specialty grade steels (Groups 4 and 5 below). While standard ferritic steels are, by far, the largest consumer group in terms of tonnage, demand for specialty grade stainless steels is increasing steadily. Group 1 (type 409/410L): These have the lowest chromium content of all stainless steels and are ideal for slightly corrosive environments where localized rust is acceptable. 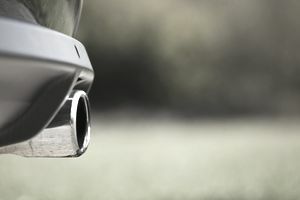 The least expensive of all stainless steels, type 409 was initially created for automotive exhaust systems silencers, but can now be found in automotive exhaust tubing and catalytic converter casings. Type 410L is often used for containers, buses and LCD monitor frames. Group 2 (type 430): The most commonly used ferritic steel, type 430 has a higher chromium content and is, consequently, more resistant to corrosion by nitric acids, sulfur gasses, and many organic and food acids. In some applications, this grade can be used as a replacement for austenitic grade 304. Type 430 is often found in interior appliances, including washing machine drums, kitchen sinks, cutlery, indoor panels, dishwashers, and other cooking utensils. Group 3 (type 430Ti, 439 and 441): Having better weldability and formability characteristics than Group 2 ferritic sheets of steel, Group 3 steel can be used to replace austenitic type 304 austenitic in a wider range of applications, including in sinks, exchange tubes, exhaust systems and welded parts of washing machines. Group 5 (446, 445, 447): This group of specialty stainless steels is characterized by a relatively high chromium content. The result is steel with excellent corrosion and scaling (or oxidation) resistance. In fact, the corrosion resistance of Grade 447 is equivalent to that of titanium metal. Molybdenum is also commonly added to improve corrosion resistance. Applications for Group 5 steel are found in highly corrosive coastal and offshore environments. South Africa Stainless Steel Development Association. Types. International Stainless Steel Forum (ISSF). The Ferritic Solution.